If you are reading this, you no doubt have being feeling a bit pummeled and thrown under the bus by building energy for many days now. This is only the beginning of a huge upgrade that is restructuring our human space suit by years end. We will need all the tools in our tool box for this one. This powerful October is fueled by two radical eclipses . . . all the while we are in a Mercury retrograde (Oct 4 - 25). This time period will act like cosmic tuning forks vibrating us into new and natural rhythms, new flows and higher re-patterning. These eclipses will break our inertia that began in early 2013 as well as our resistance and procrastination to becoming our most authentic self. A new awareness of the next higher bandwidth in the collective will rise to the surface like a new, yet ancient echo. New beginnings and footholds to our future will feel very mirage like at first. We might rub our inner eyes to focus and believe that what we are seeing is either real or is yet another illusion of the disappearing old world. These new images and vibrations will profoundly challenge and liberate us in many ways that we could not have imagined. The first eclipse is a total lunar eclipse on October 8th. It is followed by a partial solar eclipse on October 24th. Both of these eclipses mirror two similar eclipses which occurred almost a year ago. I am sure you remember these past eclipses and the challenging and almost crippling course corrections they began. What we were concerned about that we didn't finish a year ago (thoughts of having missed the boat, wasted time, self-doubt about one's path, the state of the world, etc...), these October eclipses will catapult our intentions that we had put into place with roller coaster, break neck speed. We have come from nearly 2 years of deep inertia. This new flow will take some time to get use to. Pace yourself. Affirmations / mantras for during this time are "I am patience", "I am unconditional love", "I am forgiveness", "I am living from the present moment" and "I am allowing space for personal FREEDOM!" We will see new relationship patterns with others and also with our physical world. This time will breakup old emotional and social patterns, and we will begin to rediscover our new and true, authentic selves as individual beings and as a unified human race. Oneness with authentic equality along with personal autonomy and self-empowerment will be downloaded and imprinted, but this may come with deeply cathartic and emotional experiences. These downloads will be fueled by a deep need for liberation and freedom on many levels including political and personal. We are already seeing this take effect on the world platform. There are increased numbers of countries in various stages of liberation and revolution. 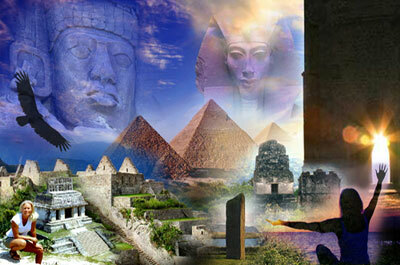 This freedom wave was unleashed in 2011 in Egypt with a very powerful energy release of potent light alchemy. Egypt is beginning to find its balance, and they are the touchstone for the rest of the world today. Some of this lunar energy will find many of us at odds with ourselves . . . the deep need for personal space will argue with the need to have deeper and more authentic connection. This can trigger a highly volatile cosmic soup of liberating releases of unexpressed individuality. At its lowest level, we may even stoop to childish acting out that could trigger deep healing. We can also have powerful and uplifting spiritual openings as our human space suit gets a down right, brawny upgrade. This all depends on each one's level of vibration and consciousness. Are we feeding love or fear? Are we living from the present or from past wounds? Are we allowing forgiveness and letting go of things that do not serve the higher good? It is a time to be surrounded by like-minded beings that support your authentic and current self. Don't get lost in all the various, dualistic perspectives and warped dogmas that are not your heart's calling. If there was ever a time, now is the time to find your tribe. 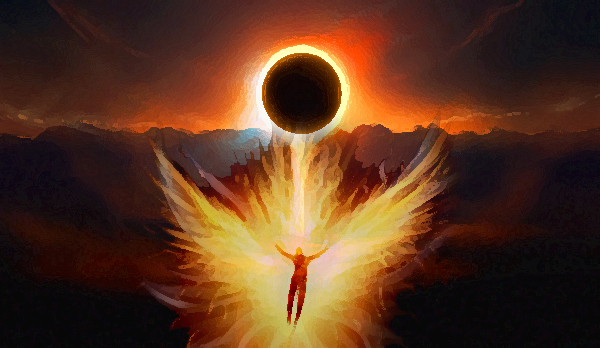 We know this life is the culmination of many past lives, and this eclipse portal can open us up to many ancient past life energies and memories. These can be very enlightening and may activate latent alchemical abilities. Reclaiming our past life, ancient knowledge is possible, and these may come as sudden and fleeting insights and intuitions that we must pay close attention to in order to remember them. Some people may also get overwhelmed with entire Akashic record downloads. It is time to release our ancient alchemy. Please take good care of your physical bodies as this process will need a strong host to hold this powerful energy. Be aware of the dangerous pitfalls when working with mystical, alchemical and inter-dimensional work that we may not be quiet ready for. Remember . . . be patient and don't leap until you are 100% ready. It will come to you, so do not worry; but if you push the envelope too far, you can undo years of hard spiritual work. Wait until it comes to you, and you will know when it is time. Follow your heart, not your impatient, ego-driven mind. We understand that you are road weary and that you want to be there already. Our new inner fire, once activated, might feel like a spiritual, warrior-like, rocket booster sending our grace filled energy into the expansiveness of our unlimited future. This will activate profound spiritual and collective alchemy that will lead toward positive outcomes and manifestations of our higher visions. Again, take care of your human space suit as this will take a strong energy system to maintain without imploding. By the second eclipse on the 24th, we will have much of this under control, and we will be more balanced in still even stronger energies. Our spirits, hearts, and souls will have been tempered and be so much stronger and wiser. All of our visions will feel more real and less of a mirage. New connections and directions will be presented to us along with new creative directions. We will find ourselves fueled by deep, passionate, and even fiery intentions that we will not be able to hold back from expressing. We have barely arrived in this new cycle of time. Each baby step that we take sets a precedent for what we will build in the future. We are intending to arrive in a world filled with unconditional love, balance, and harmony with the creative force of the divine feminine (and the divine masculine) not only understood, but used in positive ways. We will begin to see some of this goddess power unleashed by December. WHAT YOU CAN DO . . . while you are getting all brawny! Some things we are doing that help with this energy. Don't hunker down and hope the energy will pass (I tend to do this all the time, and it does not work). Get up and use your tools that you have learned over the last years and even decades. We are using the Violet Flame continually. We also like solar gazing. If you don't know what these are, Google them. Try to stay in a positive mind frame despite all the negative, fear based things that the world is shipping to you daily. Don't avoid personal issues, but stay out of unnecessary drama. It is time to make peace with your past. We clean a lot. If your space is disorganized, you will be too. We are burning our Maya Copal more than ever, and diffusing our Egyptian Amber in other rooms. Raphael is burning sage all around the house daily. Eat good, strong, healthy food. Make sure you drink a lot of water. Get your bare feet on the ground for 30 minutes a day. There are so many things that will help you travel through these next couple of months. Share what works for you with others. Be of support for each other, and end all the judgments. No one is perfect, and yet we all are! As my teacher Pearl Dorris always said . . . "Keep on keeping on. Step by step we climb." Keep climbing my friends. We are coming home, and our new human space suits will reflect the glory of the light beings that truly WE ARE! Copyright Guidelines: Aluna Joy Yaxkin www.AlunaJoy.com Ⓒ 1995-2013 - Unauthorized use and/or duplication of any material on our web site without express and written permission from its author and/or owner is strictly prohibited. Violators will be reported to the DMCA. Please respect our work, that we intend to continue to offer to you freely. RE-POSTING GUIDELINES: We appreciate your desire to share our messages and posts on your own web sites, Facebook pages, blogs, etc..., but for many specific reasons, our messages, posts and images need to remain solely on www.alunajoy.com. We encourage, and give you permission to place a WEB LINK to our posts anywhere you like. Thank you for your great support. We would not be able to continue this work if it were not for you. We send you awesome radiant blessings today and for the beautiful future that we are co-creating together.